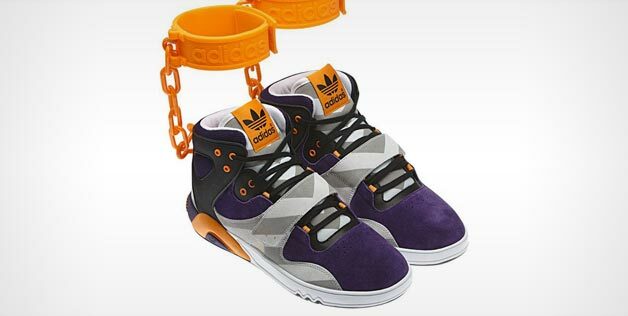 A shoe featuring orange shackles reminiscent of those word by slaves? It’s hard to imagine the design team at Adidas missed the implications of its newest sneaker just announced on Facebook (and just as quickly removed). But then again maybe not. Being a German-based company with an all-white (male and middle-aged) executive team with an all white (middle-aged) supervisory board, perhaps they overlooked the way many Americans–and not just African Americans–would view the shoe design. And hey, I’m white and middle aged too. But I know that age diversity, international diversity, as well as ethnic diversity is often an Achilles heel (I know, I know, I couldn’t help myself) of organizations in all shapes and sizes. We live in a multi-national, multi-cultural world. It’s essential to have people in every department–especially public-facing ones like marketing brands–who bring different life experiences to the table. Brands must always be creative, bringing new products and services to market. Maybe this is just a small mistep (woops, did it again!) for a company in a highly competitive market segment. But perhaps this experience can remind Adidas–and all of us–that our institutions ultimately reflect our people and our values. a. Why did they feel orange shackles would be a success in the first place. b. What safeties were bypassed in approving this.